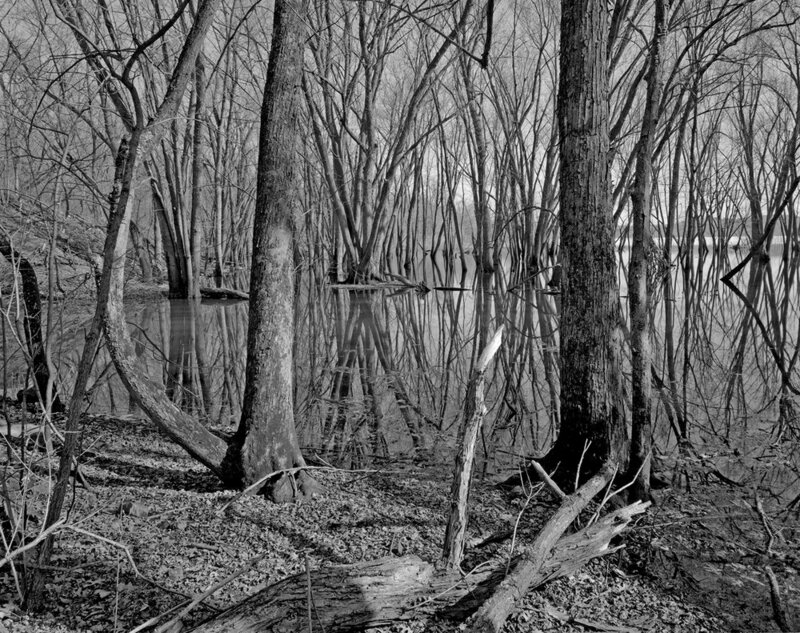 Floodplain forests, dynamic systems that rely on frequent distur­bances for their health, are dramatically photogenic. 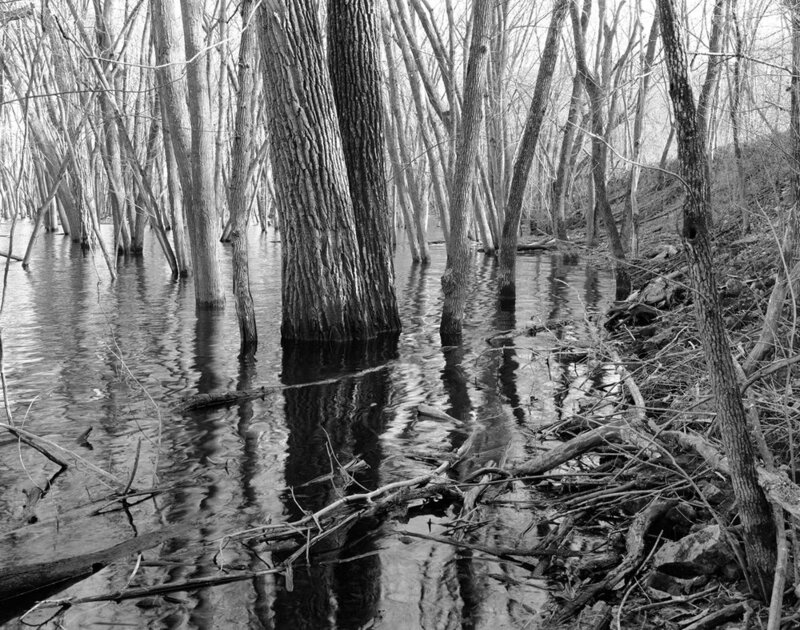 I encountered the forest in Afton State Park for the first time in April 2009 when water encircled the trunks of silver maples and huge cottonwoods, and sodden, charcoal-black undulating debris snags hugged the shore. 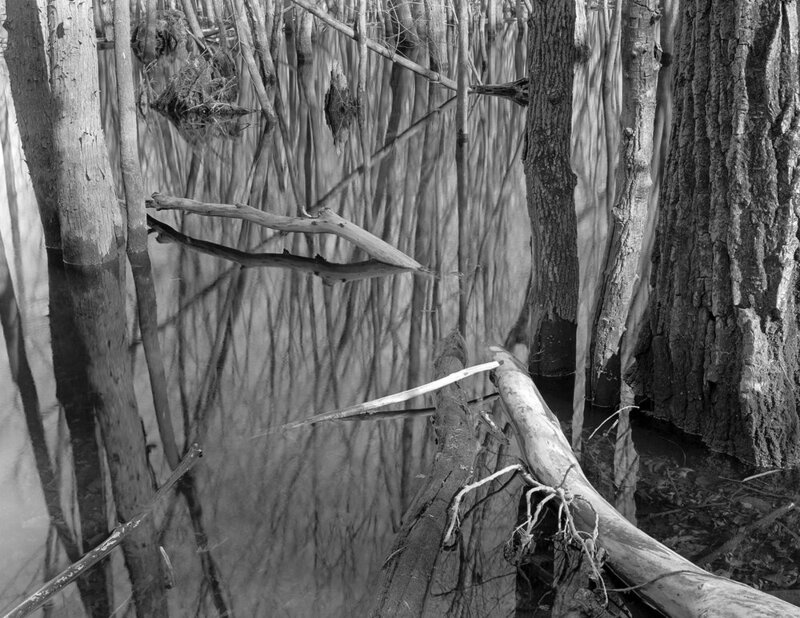 Outlines of the forest canopy and protruding branches were mirrored in the quiet water. Spring-fed Trout Brook in the park flows from the bluffs to the Saint Croix River. The forest formed on a sediment plume resulting from runoff from the nine-square mile catchment or watershed uplands that include agricultural lands, residential subdivisions and the Afton Alps ski area and golf course. 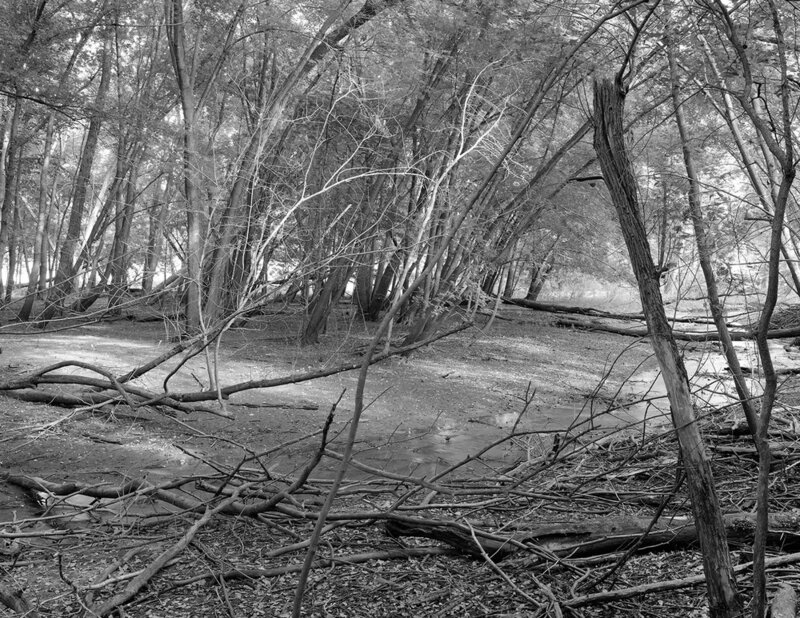 Over the course of 80 years, siltation formed a delta colonized by plants with extensive shallow root systems adapted to intermittent flooding, and a 41-acre forest developed on either side of a raised railroad trestle bisecting the floodplain. New habitat is created after each flooding event. 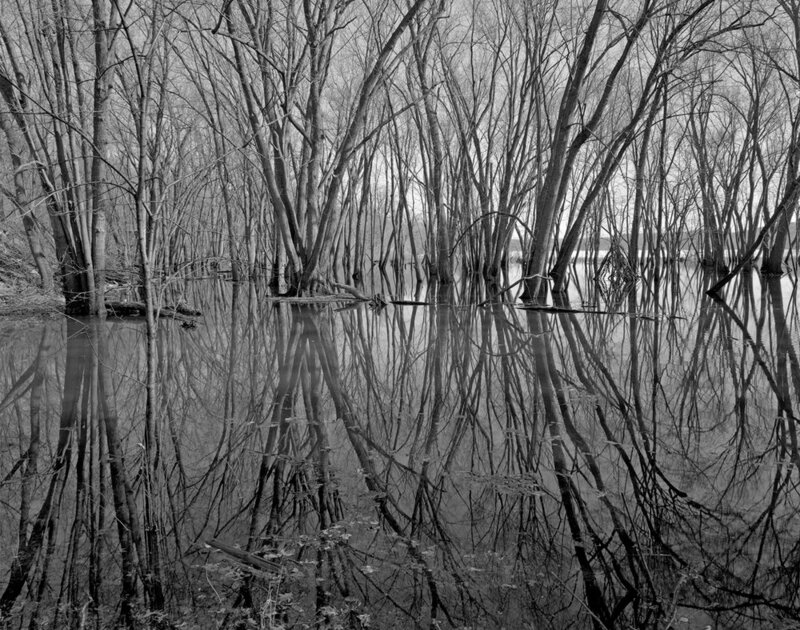 Receding floodwaters expose rich mineral-soil with about twice the organic matter as upland forest soils, and most floodplain trees and herbaceous plants are adept colonizers, capable of rapid growth. These plants also have various adaptations for supplying oxygen to tissues below the water or to roots in saturated soils, and for avoiding damage when dormant with low respiration rates in inactive tissues. Flood­ing from heavy rains while the plants are actively growing proves most destructive. Over four years, I followed the forest through freeze-thaw cycles. One year (2010) of heavy rainfall caused flooding that persisted from April through November. By the following spring, more than half of the trees had perished due to anoxia; their roots, submerged for months during the previous year’s growing season suffocated due to lack of oxygen. The floodplain was clogged with the debris of downed trees. 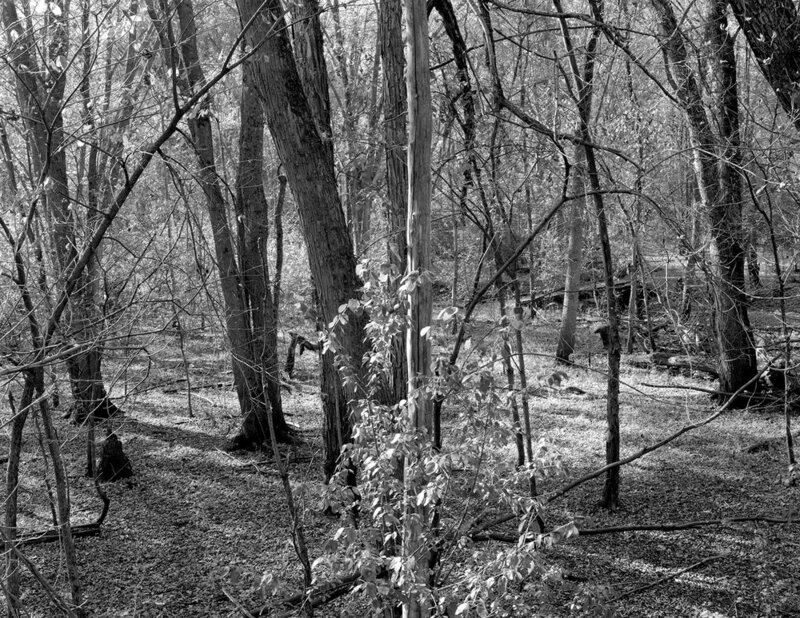 The ongoing surge and retreat of flood waters leaves the floodplain forest saturated and denuded. Dark stains two-feet up the trunks indicate recent water levels, and damaged trees are sending up new shoots from the base, forming multi-stemmed trees. Park visitors pile the sticks and downed limbs into sculptural pyramids of debris. Anton Benson, Department of Natural Resources Regional Resource Specialist for the park, points out the elevation at the base of the bluff where Trout Brook meets the river is 680 feet, so anything above that equals flooding, with flood stage beginning at 687 feet and major flooding occurring at 689 feet. Nine of sixteen historic crests dating back to 1952 have occurred since 2000, with three happening in May through July 2013 alone. It turns out that this is the period during which I documented the floodplain; observing these historic crests.